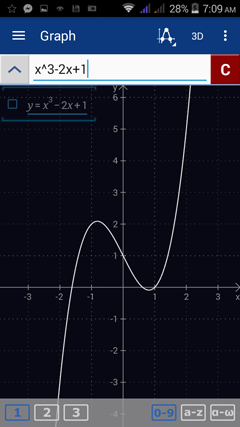 where the coefficients are real numbers and the exponents are non-negative. 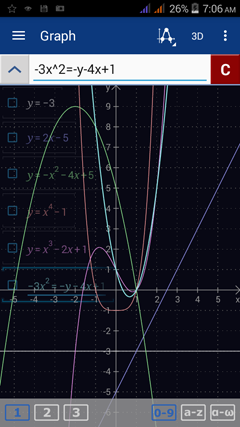 Some examples of polynomial functions linear, quadratic, and cubic functions. High-order polynomials have a degree of 4 or more. 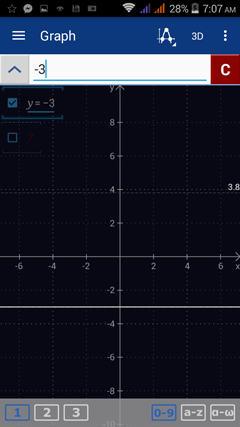 1) If the function is defined explicitly in the form "y =," you only need to enter the function's expression. 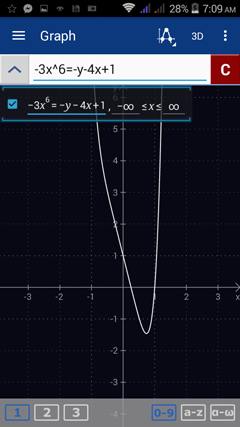 For example, enter the function "f(x) = 2x - 5" by typing in "2x - 5." 2) If the function is defined implicitly such as 2x - 3y = 4, enter the entire equation as given. Use the x^n key to enter exponents. Enter: ​-3x^6 = -y - 4x + 1. Tap the x variable key twice to enter y as a variable. 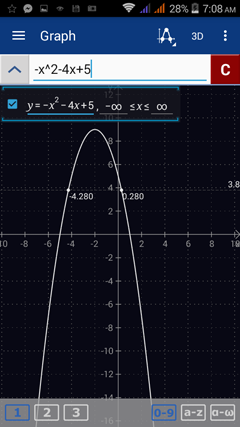 To show all of the graphs in one workspace, type one equation per line and tap enter after each one.